Reality turnaround TV shows provide valuators lessons that go a long way toward improving their consulting and valuation skills, and client deliverable. Those lessons could result in more opportunities and greater credibility. What does reality TV have to do with consulting and business valuation? If you watch closely and listen, you will learn lessons that will go a long way toward improving your consulting and valuation skills, while providing your clients relevant and added value. As a consultant and valuator, I’m hooked on several reality television shows including Restaurant: Impossible with Robert Irvine (Food Network), Bar Rescue with Jon Taffer (Spike TV), and Hotel Impossible (Travel Channel) with Anthony Melchiorri. I particularly like Bar Rescue and Hotel Impossible. What is the attraction to these turnaround shows you ask? The answer is quite simple. These shows are weekly reminders and models of what we, as valuators and consultants, should be doing in the valuation process and the deliverable to our client. Let’s compare and contrast the show premise of my favorites to our work process. First, in each series installment, the expert describes the business, its location, and often the market demographics. Second, the business is observed and analyzed on site by the expert with commentary related to condition, management, staffing, service, marketing, layout, and overall perception. Next, viewers witness the consultant’s meeting with the owner and often confrontational (objective) assessment of the business. Here is where the expert begins sharing key performance indicators (KPI) related to the business and industry and other drivers and benchmarks that the owner should know. Finally, there is a makeover resulting in a saved business with “added value” and profit, and a happy owner with new tools, insight, and a positive consulting experience. 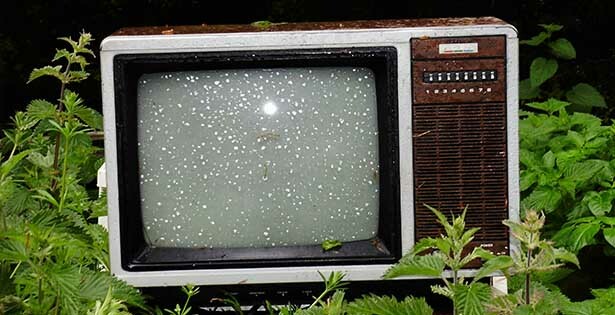 With the exception of the business makeover, how many elements and processes from the television series have you seriously considered in your valuation engagement? If you answer “Not many,” perhaps too much time is spent on academic and quantitative models that do not represent reality. Let’s think about how we apply reality television to our valuation engagements and client deliverable. Step one is research the business and industry and identify the drivers and key performance indicators. These are connectors to a valuation. A valuation of an auto repair shop revealed that a poor economy drives repairs up and new car purchases down. Customers will drive a radius of 15 miles to have their car serviced. As average annual miles driven increase, so does auto repair revenue. Taffer identifies similar drivers in his quests, such as the female population within a certain area, bar association to name brand liquor, or traffic count per subject location. Melchiorri provides dollar amounts spent on leisure within the area of the subject business, average room rates within the subject area, and percentage of rooms and other services booked online. The business drivers are available, and it is the responsibility of the valuation analyst to identify them, relate them to the valuation, and share them with the client. The same is true with relevant KPI. The auto repair shop valuation included key performance indicators such as customer complaints, new customers per month, hours per task, and revenue per technician. KPI are usually unique to the business or industry and are in addition to the various business ratio benchmarks. Often, a KPI is expressed in terms other than dollars. Taffer frequently provides a yield KPI from tap beer or liquor-missed pours. He tracks food costs to food sales (30 percent or less) and beverage cost to beverage sales (21 percent or less). Melchiorri tracks vacancy rates, average room rates, and turnover rates for the subject hotel and adjusts for seasonality and events. The second step for the valuator following the reality television model is application of the drivers and KPI identified. Remember, they should connect to the valuation and assist in deriving a conclusion of value. First, they are researched, identified, and documented within the report. Second, if they are utilized by the subject business, how well does the business measure up? As valuators, many profess to be experts, and it is only reasonable that the valuator qualify and quantify. The perfect place is in the valuation area that many feel uncomfortable—company specific risk (CSR) in the Build-Up Model. Get over it! Third, if the drivers and KPI are not utilized or known by management of the business, take note. You have a missing process or management shortcoming and have reason to adjust the company specific risk accordingly. Finally, if you analyze your KPI thoroughly, you will be better equipped to assess the subject’s management, staff, marketing, productivity, efficiency, profitability, effectiveness, and capacity. This area is sometimes controversial, but offers opportunity for the real consultant and valuator. Let’s consider that possibility. If the consultant identifies missing processes or ways to measure business performance, he or she provides value to the client and is truly viewed as an expert and trusted advisor. This may lead to additional work such as transactional valuation, exit planning, and transformation consulting. Failure to communicate one’s findings and assessment provides no value or impact. I was once called out by a partner who peer reviewed my report. The concern was that I identified under-utilized machines in a plant that the owner claimed to be at capacity. One machine was used three times a year and was the size of three machines sitting next to it that were effectively used eight hours per day. The concern was that inclusion within the report insinuated the owner was incompetent and was I qualified to make that assessment? The answer to the question(s) is an unqualified, yes. The analysis, objectivity, assessment, and conclusion are all responsibilities of the valuator consultant. To ignore or avoid these responsibilities is akin to the business owner in the reality series that fails to accept responsibility for his or her failures. Every week that I catch an episode of reality turnaround TV shows, I learn something that can be used to improve or add value to the valuation engagement or help me grow as a consultant. I highly recommend that valuators and consultants add one or more of the reality turnaround TV shows to their weekly diet. In all probability, you will learn something or get an idea. Who knows, you may even syndicate your own television show—Valuation Impossible.